SWEET! You asked, we delivered!! Sorry it took so long! 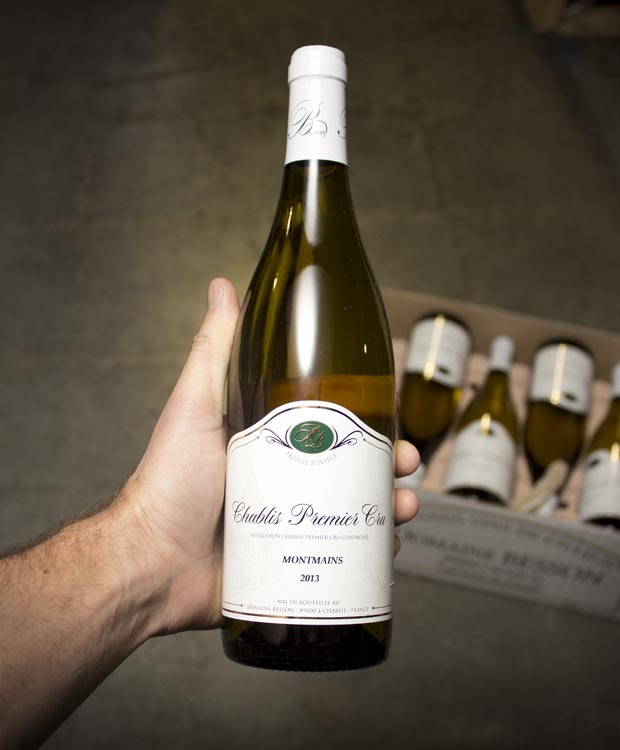 Premier Cru (1er Cru)-level, steely, bracing Chardonnay from one of Chablis' most revered vineyards: MONTMAINS. This producer is a mammoth favorite among all of you and we FINALLY snagged some more of the 1er Cru at a super-special price: OVER 50% OFF! Bring on the mouth-tingling greatness!! We LOVE this wine. Montmains always imparts wonderful acidity and minerality, but it also has a fleshiness that some of the other Besson bottlings don't quite have. Domaine Besson can trace itself back to 1902, and during this time the family has acquired some impressive 1er and Grand Cru sites. This is Chablis that walks a fine line between the flinty, crisp, brisk acidity and hyper-freshness and the lusher, more tropical flavors. Never heavy in any way, nevertheless it has a touch of tropicality along with the lemon, crisp apple and racy freshness. It will continue to improve over a year or so as well --- wow! We bought as much as we could from the Domaine (sadly, less than we'd like....) but if REAL DEAL Chardonnay is your bag -- today is the day!